Porous silicon is rapidly attracting increasing interest in various fields, including optoelectronics, microelectronics, photonics, medicine, chemistry, biosensing, and energy. 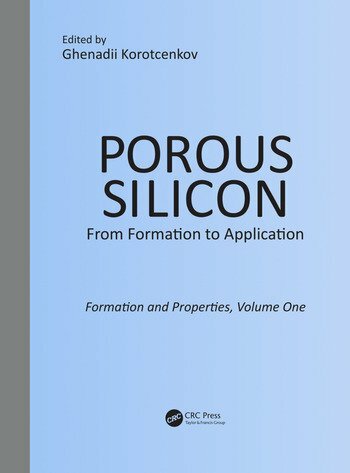 Porous Silicon: Formation and Properties fills a gap in the literature of the field today, providing a thorough introduction to current knowledge of the formation, processing, and properties of porous silicon. It also analyzes present and potential applications of porous silicon in technology, including various devices. With contributions from an international team of well-known experts, this book presents the most recent progress in the field of porous silicon. Focused chapters cover the fundamentals of silicon porosification, the qualities of porous silicon, including its electrical, luminescent, optical, and thermal properties, and the processing of porous silicon for use in the technology of other fields. It also gives valuable insights on what can be expected from the field in the near future. The book includes extensive references to recently published literature on the subject, allowing for deeper exploration of information on the porosification process, designing porous silicon-based technology, and improving performance of devices fabricated using porous silicon. 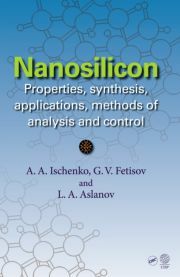 It is an indispensable addition to the library of any scientist or technician involved or interested in the research, development, and application of porous silicon. Dr. Ghenadii Korotcenkov is a research professor in the School of Material Science and Engineering at Gwangju Institute of Science and Technology in Korea. He earned his PhD in physics and technology of semiconductor materials and devices from the Technical University of Moldova, and his Dr. Sci. degree in the physics of semiconductors and dielectrics from the Academy of Science in Moldova. He has more than 40 years of experience as a teacher and scientific researcher, and has been involved with numerous national and international scientific and engineering projects. He is the author or editor of 29 books and special issues, holds 18 patents, has published more than 200 peer-reviewed articles, has presented more than 200 reports at national and international conferences, and has received several awards and honors. "Sometimes you can just pick up a book and you know it’s good. Well this happened to me with this book. When I opened it and started to read I changed my mind from good to excellent. It is written in an easy to read format and laid out in a style that allowed me to make readable notes on clean side bars. . . If you have an interest in silicon, if you are looking for new ideas in silica, if you are looking for new areas or working/manufacturing methods for materials in chromatography, buy this book . . ."